after having a real bad hangover today from drinking too much jägermeister during zocken last night, i felt a lot like playing proteus. first i hesitated for a second to pay 10 bucks for it… but then i thought what the heck, i just very recently shoved another 40 pieces of my hard earned money down ea’s throat, whose games just scream “we want your soul” every single second, and here’s this wonderful work of art, obviously made with a lot of love and compassion, why don’t they deserve to get paid as well? exactly. btw, i can understand why people don’t get this game, but the discussions whethter it is a game or not are just downright stupid. it is not relevant at all, and i don’t care what you call it. it’s beautiful, exciting and sometimes even a bit scary (but not really), that’s what it is. what else do you need? just saying. oh, and of course it sounds gorgeous. like a tycho song. it’s fascinating how i caught myself chasing “animals” like a child on mushrooms, and just generally running towards everything to “see” how it sounds. so i guess this really isn’t a game. it’s “the best song i’ve ever played”, like that quote from pc gamer says in the game’s trailer. i can only add that you might not like proteus if you don’t like music… or colors… or if you hate life in general. i reccommend not watching someone else play proteus, that’s why i did not watch the video from your post (like i told you). 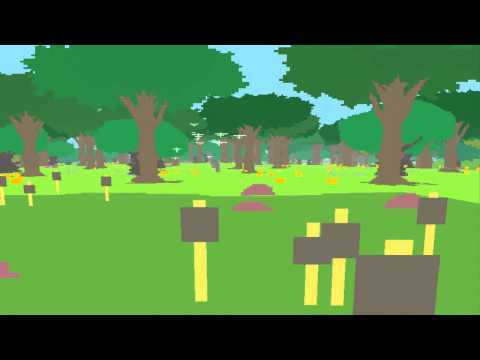 you just have to experience proteus for yourself, at your own pace. with headphones. Without having played it yet, I am especially curious about the generated scenery and sound. I love the idea. Reminds me of the Star Guitar video clip by Chemical Brothers… and you are right about avoiding spoilers in an exploratory game. In Dear Esther I had no idea what it was about and at first tried to jump or interact with objects before realizing what it is about… but finding out by yourself in one epiphany moment after the other is what really makes it worth your while.